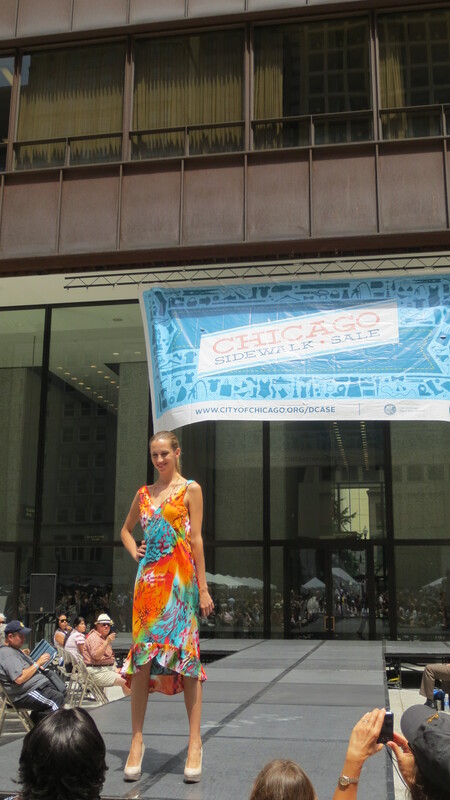 Last week, See Song Designs was a vendor at the 7th Annual Chicago Sidewalk Sale in Daley Plaza. 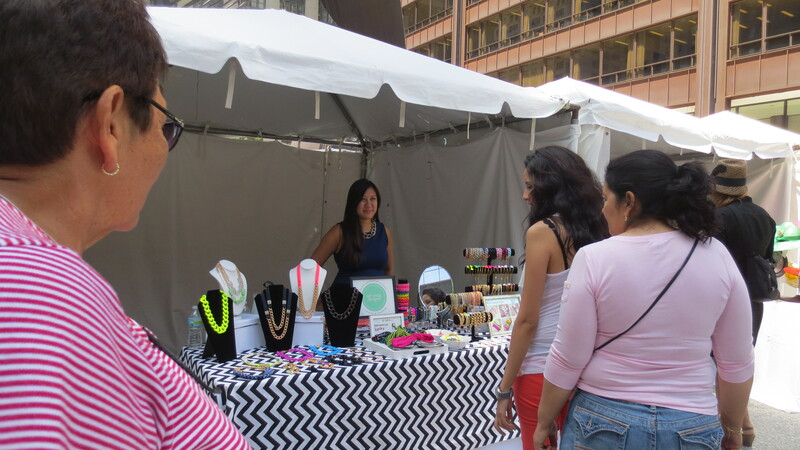 The weather was perfect, and it was great to meet some of our loyal fans and interact with new customers! 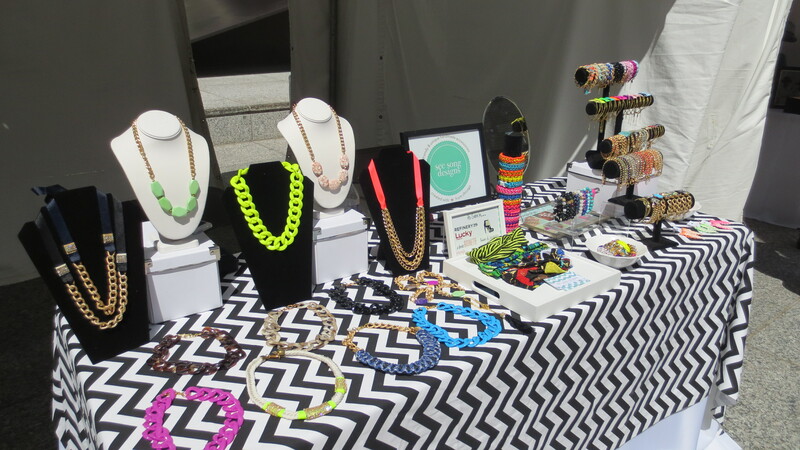 I also got to debut our new table set-up which featured a brand new black and white chevron table cloth which was a great compliment to the bold and bright jewelry. 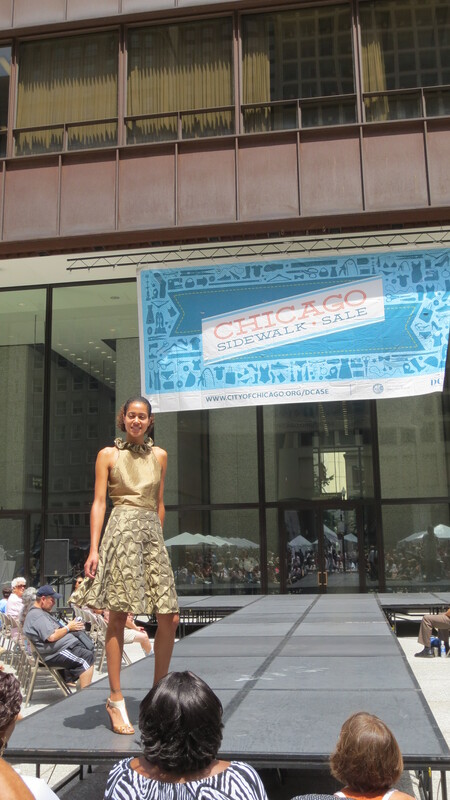 The Sidewalk Sale was sponsored by The Chicago Department of Cultural Affairs and Special Events and Fashion Focus Chicago, and each day included a fashion show featuring some of the designers selling at the Sidewalk Sale and Factor Models. 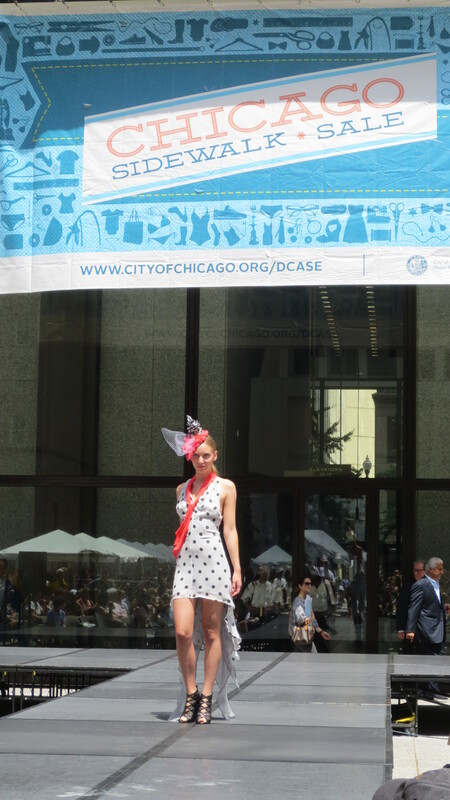 One of the best parts of doing events is being able to make friends and network with other designers who have a similar passion for fashion and design. 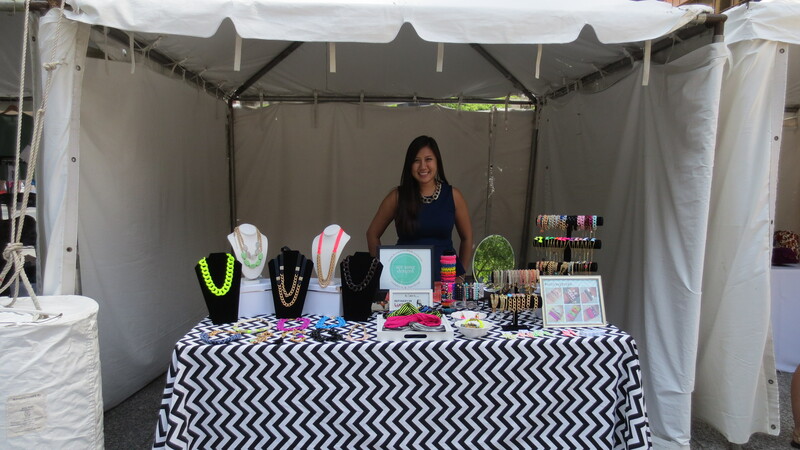 My booth neighbor was Megan Lee Designs, and I bought my new favorite t-shirt from her line of super comfy and cute clothing. 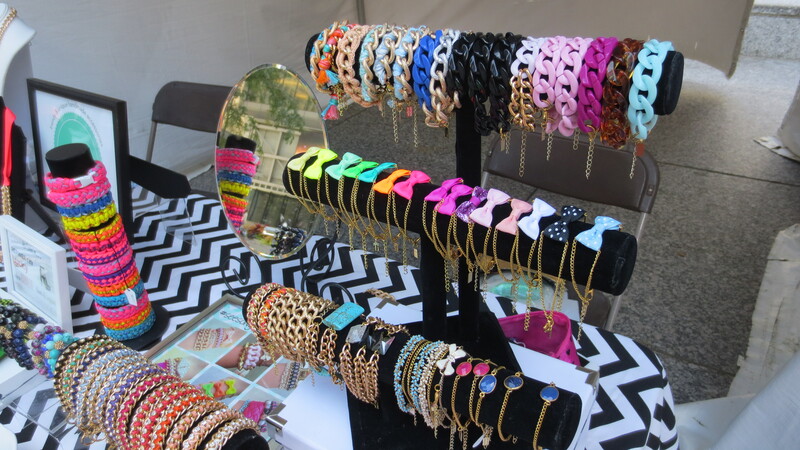 Be sure to check our Where to Buy page to see where we’ll be selling next and sign up for our email list so you never miss the chance of checking out See Song Designs Jewelry in person. 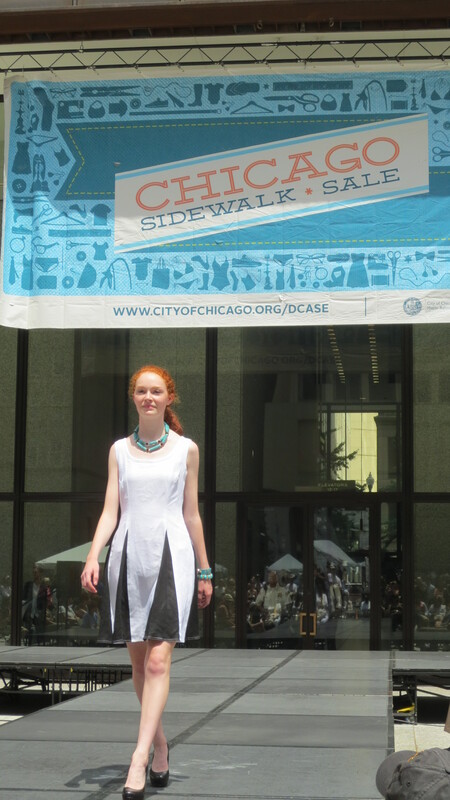 Check out some of the pictures from the Sidewalk Sale below! 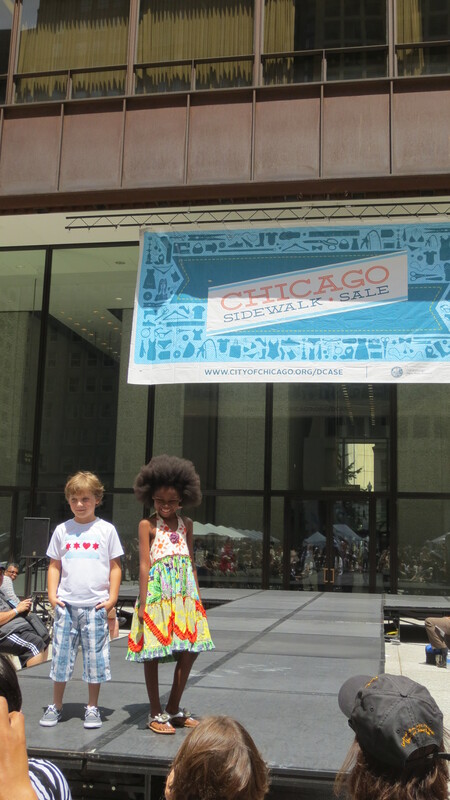 The most adorable models on the runway. Love her little pose!